Once upon a time, it may have made sense for Canadian snowbirds to open U.S. dollar bank accounts or credit cards with U.S. banks. However, with recent advances in technology and new cross border banking solutions for Canadians, the need to have U.S. based banking services has become mostly obsolete. Having all of your cross border banking services with Canadian financial institutions or banks and their U.S. affiliates is almost always a cleaner, easier and more cost effective option than opening additional bank accounts or credit cards in the U.S. Convenience – Having all of your cross border banking located in one place allows you to avoid the time and hassle associated with managing multiple bank accounts, statements and online portals. For certain bank accounts located in the U.S., you may also have to file tax documents with your U.S. bank, something you don’t have worry about if all of your accounts are in Canada. Cost – Bundling and streamlining your accounts can help you save money on bank account and transaction fees. What is Cross Border Banking? Cross border banking provides Canadian snowbirds who travel and spend money extensively in the United States with a variety of convenient banking, payment, foreign exchange and financing solutions. offered through Canadian banks and financial institutions, avoiding the need to seek these services from a U.S. bank or financial institution. Which Cross Border Banking Services are Available? Two types of cards are available to help Canadians save on foreign transaction fees and currency exchange costs - no foreign transaction fee credit cards and U.S. dollar credit cards. Using one of these credit cards instead of your regular Canadian credit card can save you anywhere from 2.5% - 5% when making purchases in U.S. dollars. The right card for you will depend on your specific needs and situation. However, many U.S. dollar cards don’t offer loyalty plans, although this is beginning to change. Shop around for a card that offers you the most benefits. For small amounts, it’s probably best to use your Canadian bank or financial institution to convert between Canadian and U.S. dollars. They’re the most convenient option, and while they don’t offer the best foreign exchange rates, they’re not the worst either, and it’s just not worth your time or effort to shop around when exchanging small sums. However, if you’re converting large amounts of currency or converting money on an ongoing basis, you should definitely look for a boutique currency exchange company, as they can save you up to 2% compared to the big banks, which can translate into hundreds or even thousands of dollars in savings. Many boutique FX companies offer free set-up and convenient integration with your Canadian and U.S. dollar bank accounts, allowing you to quickly and easily convert larger amounts whenever you need to. Most Canadian financial institutions give you the option to open a U.S. dollar bank account so you can keep funds in both U.S. and Canadian dollars and cut down on foreign exchange transactions and costs. ATM Cash Withdrawals – You’ll get a U.S. debit card that allows you to withdraw U.S. dollars in the United States from ATM machines without having to incur foreign exchange costs, and if the ATM is affiliated with your bank, no transaction fees. For withdrawals from non-affiliated ATMs, you’ll likely have to pay a small transaction fee, just like you would in Canada if you use an ATM that isn’t affiliated with your bank. Debit Payments - You’ll get a U.S. debit card that will allow you to make payments at retailers throughout the U.S. with no foreign exchange or transaction fees. This is a big benefit over using your Canadian debit card in the U.S., as most U.S. retailers don’t accept Canadian debit cards, and those who do will charge you foreign exchange and transaction fees. U.S. Bill Payments & Transfers – You’ll be able to pay your U.S. bills and transfer money online in U.S. dollars, a big cost effective convenience for snowbirds who have U.S. expenses like rent, condo fees, golf club memberships and utilities. Writing U.S. Cheques – If you need to, you’ll be able to write cheques in U.S. dollars to cover local expenses. Depositing U.S. Cheques – If you need to, you’ll be able to deposit U.S. cheques, but only if your Canadian bank has a branch or affiliated bank near you. If you need a mortgage for a U.S. vacation property, a growing number of Canadian lenders are offering specialized mortgage services for snowbirds. While you’ll still want to compare mortgage options in the U.S. to find the best terms, many snowbirds like the comfort and familiarity of dealing with local lenders and laws if possible. 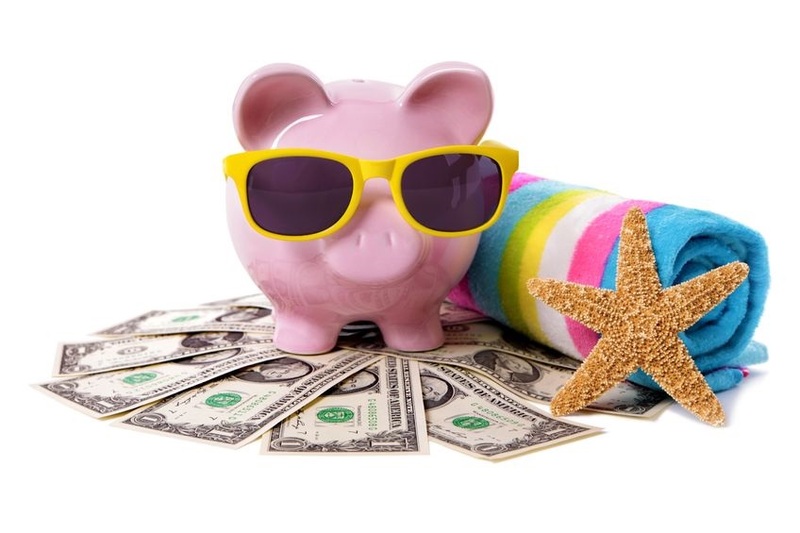 Remember, the criteria and terms for getting a mortgage on a U.S. vacation home is very different that getting a mortgage for your primary residence in Canada. Who Should Consider Using Cross Border Banking? Cross border banking solutions make sense for any Canadian who spends a significant amount of time and money in the United States. The exact services you need will really depend on your unique requirements. Some snowbirds may only need a cross border credit card or a Canadian based U.S. dollar account, while others may need a U.S. dollar account based in the United States, a boutique currency exchange services or a mortgage for their U.S. vacation property. How Hard is it to Set Up Cross Border Banking? While some snowbirds are discouraged by the time and effort they think it will take to research and set up cross border banking solutions, we can tell you that it’s really not that bad. And once you have everything set up, it will be much more convenient and you’ll save money in the long run. You’ll probably even be kicking yourself for not doing it sooner! The time and effort required for initial setup will vary depending on which services you need, and can range from simply filling out some application forms to setting up online banking and linking your bank accounts. Explore your options – There are a number of cross border banking services for Canadian snowbirds, with more services becoming available all the time. Before committing to any particular service, take the time to compare pricing, ease of use and product features. Don’t be afraid to combine services – Don’t feel obligated to get all of your cross border banking services from the same provider. You may find that the best credit card, banking and foreign exchange services are all offered by different companies. In most cases, you’ll be able to integrate services from different providers in a way that works for you. However, it is easier to transfer funds between Canada and the U.S. if you use the same Canadian bank and their U.S. affiliate. Don’t pay for what you don’t need – With so may cross border banking options and features available, it’s easy to get services that you don’t need. Make sure you understand the fee structure before committing and only opt in to the services that you’ll actually use.